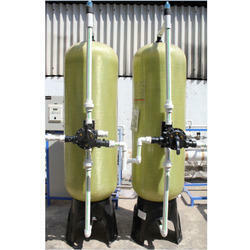 Pioneers in the industry, we offer multi media filter and sand filter - carbon filter from India. Backed by the vast industry exposure, we are involved in offering a wide range of Multi Media Filter in the market. These products are manufactured from best quality components. These products are widely admired for their flawless performance and used in domestic use for drinking water, pre-filtration for DM Plant/RO System, pre-treatment for water purification & drinking water production, swimming pool & water parks and mineral water plant pre-filtration. We are one of the trustworthy names in the industry in presenting a wide gamut of Sand Filter Carbon Filter to our esteemed customers. The offered filters are widely used to eliminate turbidity and odor in water as well as to remove contaminants and impurities. In addition, made available in several specifications and reasonable price, its demand is quite high. Looking for Multi Media Filter ?